I taught at the Fashion Institute of Technology in New York for six years and in that time I came to discover how important an institution’s connection is with its professional industries. I taught graduating seniors who were completing internships at high profile companies like Donna Karan, Ralph Lauren or Calvin Klein. While these students were fortunate to have these opportunities, there were many students, typical of large institutions, who are left without career services opportunities. When I was recruited by Wade College , a small, private merchandising and design institution in Dallas, TX, I immediately connected with its similar philosophy of remaining connected to the institution’s industries and employment opportunities. The difference, however, is in Wade College’s size. What’s incredible is the number of job opportunities that come from the adjacent Dallas Market Center and the Design District, across the street. Unlike the Fashion Institute of Technology and similar institutions where enrollment spirals into the thousands, a boutique institution like Wade College can really service every one of its students with meaningful industry experience that often leads to gainful employment. As a native New Yorker, I did not realize, before relocating, how sizable the fashion and interior design industries are in Dallas. 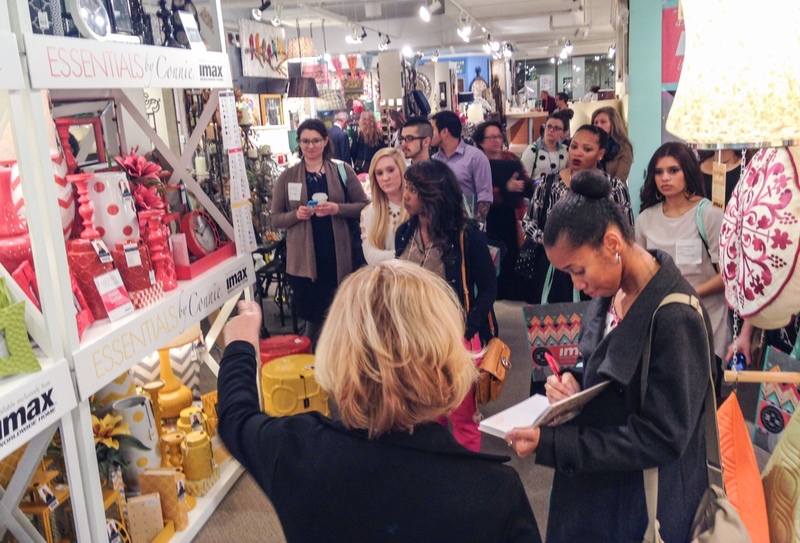 The Dallas Market Center is the largest collection of wholesale showrooms in the world. The Design District is among the largest collections of interior design wholesale resources in the country. And Wade College, among the oldest creative institutions in Dallas, is literally in the middle of it all. You can’t imagine how exciting it is to be a part of this kind of demand! I take great pride in seeing my students – all of my students – engage in every fashion, interior and graphic design opportunity that comes our way. The Dallas Arts District was created in early 2009 with a clear vision to stimulate cultural life and a three-point mission statement to serve the community as a private nonprofit organization. The district itself spans over 68 acres and covers 19 blocks. It is the largest arts district in the nation and Dallas is lucky to have a region with such creative vitality, luckier still as the region continues to grow! The most recent additions to the district are Klyde Warren Park and the Perot Museum of Nature and Science. The district is like a big neighborhood. The Klyde Warren Park is the new finely manicured front lawn and the Perot Museum is the new neighbor who just moved in down the street. These two additions to the district will stand next to the well-established and well-known surrounding organizations, including the Dallas Museum of Art, the Nasher Sculpture Center, the Crow Collection of Asian Art, the Dallas Opera at the Margot & Bill Winspear Opera House, the AT&T Performing Arts Center, the Dallas Symphony at the Morton H. Myerson Symphony Center and many more . . . 68 acres and 19 contiguous blocks more! In addition to museums, Dallas offers a host of internationally recognized professional fine art galleries, most of which are located in the Dallas Design District, within walking distance of our Wade College campus and the World Trade Center! As a full time Professor of Art and Design at Wade College since 2006, with gallery representation and affiliations with several galleries in Dallas and in Fort Worth, I continue to thrive professionally as a visual artist, not just here in the Metroplex, but throughout Texas! My career as a visual artist continues to help me bring opportunities to our students here at Wade College, in the form of in-class Visiting Artist Workshops, Artist Lectures, Gallery and Museum visits and tours of private collections throughout Texas. This past year we had the fortunate opportunity to have student exhibit their artworks at a college of fine art in Fort Worth. I look forward to bringing more opportunities such as these to our students here at Wade College! We always welcome prospective students to come by and take a tour of our campus and experience student life first hand!